Offering the proven curriculum the CIA delivers at its United States campuses, The Culinary Institute of America's Bachelor of Business Administration (BBA) in Food Business Management will build students' command of global product knowledge, business skills, and an in-depth understanding of the culinary and catering industries. The programme will also cover more advanced areas of study such as revenue management and marketing for the foodservice and hospitality industries. Throughout the programme, theoretical components of the programme such as business theory and language lessons will be balanced with the honing of culinary and service skills through hands-on learning and projects in the state-of-the-art kitchens and public restaurants at the CIA's Singapore campus. Graduates can expect to have a wide range of career options, including executive chef, entrepreneur, hospitality management professional, restaurant and bakery owner, food critic, and much more. Learn more about SIT-CIA's Bachelor of Business Administration in Food Business Management. Prior to AY2017/2018, the programme was known as the Bachelor of Professional Studies in Culinary Arts Management. Diploma holders from any local polytechnic and A-level graduates are welcome to apply. Credit transfers and bridging will be reviewed on a case-by-case basis. 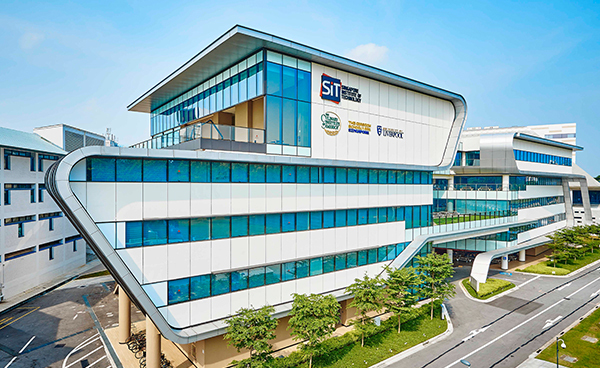 Applicants who are not graduates from a Polytechnic in Singapore, but have completed a formal 12-year education equivalent to A-Levels, are eligible to apply for the degree programme at SIT. All students will have to complete a 3-week immersion programme that comprises a unique and enriching travel experience across Northern California. The Food, Wine and (Agri)culture Trip begins at the home campus of the CIA in Greystone at St Helena, California. From there, students embark on a road trip through the Napa Valley, with stop-overs and visits to wineries and vineyards, food processing plants, speciality restaurants and a broad variety of food-related businesses to deepen the students’ knowledge in the culinary culture of America. The estimated cost of this overseas immersion programme ranges from S$8,500 - S$9,500. Note: Estimated costs are dependent on prevailing currency exchange rate and flight ticket prices. Students will write and revise essays that demonstrate their ability to read and think critically, to incorporate evidence into the development of their ideas, and to articulate their responses persuasively. Readings may include essays, articles, literature, or literary criticism. Basic concepts of information literacy will be introduced. Grammar, usage, and mechanics will be reviewed as necessary. This course covers the basic mathematical skills that will be utilized in the curricula. Topics include problem solving with fractions and decimals, unit conversion, percentages, ratio and proportion, and introductory algebra concepts. An introduction to food production practices governed by changing federal and state regulations. Topics to be covered include prevention of food-borne illness through proper handling of potentially hazardous foods, HACCP procedures, legal guidelines, kitchen safety, facility sanitation, and guidelines for safe food preparation, storing, and reheating. Students will also take the National Restaurant Association ServSafe examination for certification. An introduction to the identification and use of vegetables, fruits, herbs, nuts, grains, dry goods, prepared goods, dairy products, and spices in various forms. Explore both fresh and prepared foods and learn to identify, receive, store, and hold products. Students will also learn to evaluate products for taste, texture, smell, appearance, and other quality attributes. An introduction to the application and development of fundamental cooking theories and techniques. Topics of study include tasting, kitchen equipment, knife skills, classical vegetable cuts, stock production, thickening agents, soup preparation, grand sauces, timing and multi-tasking, station organization, palate development, culinary French terms, and food costing. The course also introduces the student to fundamental concepts and techniques of basic protein, starch, and vegetable cookery. Emphasis is placed upon the study of ingredients and an introduction to small sauces will be given. This culinary examination tests knowledge and proficiency in the principles of cooking and certain fundamental cooking methods-roasting, sautéing, frying, stewing, poaching, braising, and broiling. Students will be given an assignment (which includes a soup, protein, vegetable, and starch) to prepare, present, taste, and explain. (High Pass/Pass/Fail grading). An introduction to the social, historical, and cultural forces that have affected or will affect the culinary as well as the baking and pastry professions. Topics include the contemporary challenges facing food professionals in the twenty-first century and etiquette as a social and professional discipline. Students will be expected to complete several written assignments and present a group research project. Examine the basic concepts and principles of nutrition. In this course, students learn about basic nutrients, food labeling, nutritional principles, current issues in nutrition, and the application of nutritional principles to menu development. Students will also be involved in nutritional analysis of recipes. An overview of the principles of receiving, identifying, fabricating, and storing seafood. Identification will involve round fish, flat fish, crustaceans, and shellfish. Topics include knife skills, yield results, quality checking, product tasting, storage of various types of fish, techniques for fabricating cuts for professional kitchens, special storage equipment, and commonly used and underutilized species of fish, fishing and aquaculture techniques, and how to choose sustainable species. This course will present the history, trends, and options in the hospitality industry and prepare students to critically evaluate their career options. The course will provide an overview of the hospitality industry, including social and economic forces affecting growth and change, restaurant industry organization, competitive forces in foodservice, forces shaping the lodging industry, competition in the lodging business, tourism destinations, and tourism generators. The concept of hospitality as a service industry will also be discussed in depth. This course advances critical reading, thinking, and writing abilities through the study of literature. While acquiring requisite vocabulary, skills, and background knowledge, students will learn how to read literary texts more perceptively and how texts generate meaning. Students will communicate this learning through critical essays exploring specific literary texts. Readings may include novels, essays, short fiction, poetry, and drama. Class sessions will introduce and enforce key elements of information literacy. Prerequisite(s): College Writing (ENGL-120) or College Writing for English Language Learners (ENGL-122). This is a survey course in the theory and application of microeconomics. In contrast to macroeconomics, microeconomics focuses on individual decision-making. The focus throughout the semester will be the understanding of the relationship between economics and policy, which requires an understanding of history and institutions. The course topics focus on microeconomic issues and problems such as competition and monopoly, pricing, consumer demand, and producer supply. The course develops a theoretical framework for microeconomic analysis and applies this theory to practical domestic and international economic policy problems. This course is an introduction to selected topics in college-level mathematics. Topics discussed will include, but are not limited to: logic, algebra, graphing and modeling, probability, and statistics. Specialized topics may be included at the discretion of the instructor. This is one of the courses students can choose to satisfy the math/science component of the required liberal arts distribution. An introduction to the principles and techniques used in the preparation of high-quality baked goods and pastries, with an emphasis on fundamental production techniques and evaluation of quality characteristics. Topics include bread fermentation and production, ingredient functions, and custard ratios and preparations. The study of global cuisines and cultures allows us to develop a greater understanding of the human condition. Through experiential learning, we will examine the connection between gastronomy, culture, society, and local and global food systems of the selected country or region. We will visit farms, wineries, food processing plants, restaurants, museums, and historical and educational sites and institutions to learn about food production and consumption, and culinary tradition. An introduction to three main areas of the cold kitchen: reception foods, plated appetizers, and buffet arrangements. Students learn to prepare canapés, hot and cold hors d’oeuvre, appetizers, forcemeats, pâtés, galantines, terrines, salads, and sausages. Curing and smoking techniques for meat, seafood, and poultry items will be practiced, along with contemporary styles of presenting food and preparing buffets. An overview of the food preparation and serving techniques used by the casual dining, on-site catering, non-commercial, and retail segments. This course emphasizes high-volume food production, station setup, timing, service, and menu concept development and execution. Basic cooking and serving competencies will be reinforced and new skills specific to high production preparation and serving are taught. Menu items consistent with the retail and noncommercial segments and also common to the casual dining segment of foodservice will be covered. Cooking competencies include egg cookery, grain cookery, sandwich preparation, pasta cookery, and preparation of simple and composed salads, moderate-cost entrées, and cooking with consideration for dietary needs and restrictions. An examination of the major historical and cultural underpinnings of the societies that constitute the Americas. Inherent in this endeavor is an effort to understand not only the culture of the United States but also those of Latin America. As we proceed through the twenty-first century, the global community takes on increased significance; therefore, it is imperative that we understand the historical and cultural developments of other nations. An overview of traditional and contemporary banquet menus with an emphasis on quality, quantity, setup, timing, service, event planning, and execution of large-volume-cooking and catering. Basic cooking and serving competencies will be reinforced and new skills specific to banquet preparation and serving will be taught. Topics to be covered include contemporary American banquets, classical cuisine events, hot and cold buffet stations, special events, various styles of service, psychology of service, guest relations, the sequence of service, and professional standards for dining room personnel. An examination of the roles that wines play as quality beverages in professional foodservice operations. The course will emphasize styles of wine from around the world, the theory and practice of matching wine with food, tasting wines, and organizing wine service. Subjects to be explored include wines of the New World (Northern and Southern Hemispheres) and the Old World (Europe) as well as purchasing, storing, marketing, and serving wines in a restaurant environment. Students will also participate in a restaurant-based wine and food tasting, which will be used as the basis for a wine and food pairing essay. This is a survey course in the theory and application of macroeconomics. In contrast with microeconomics, macroeconomics focuses on aggregate behavior, or the behavior of the economy as a whole. The student will be introduced to methods of economic reasoning and the variety of ways economists develop models based on observed behavior. The focus throughout the semester will be the understanding of the relationship between economics and policy, which requires an understanding of history and institutions. The course develops a theoretical framework for macroeconomic analysis and applies this theory to practical domestic and international economic policy problems, specifically: unemployment, inflation, business cycles (fluctuations in the economy), and growth. Whether you manage and/or own a restaurant, operate a catering business, or run a food truck, there are certain fundamental management skills that apply to all foodservice operations. The ability to write well-balanced menus that meet the needs of your customers and are operationally functional and profitable is paramount to success. This course will highlight the basic principles of developing enticing menus that comply with truth-in-menus guidelines, as well as incorporating current research on consumer behavior relative to menu layout, design, and sales that maximize profit. Additionally, this course will focus on the management functions of running a profitable foodservice establishment, including the control process and managing revenue and expenses. Prepare, taste, serve, and evaluate traditional and regional dishes of Asia. Emphasis will be placed on ingredients, flavor profiles, preparations, and techniques representative of the cuisines from China, Korea, Japan, Vietnam, Thailand and India. The course develops an expanded understanding and appreciation of why and how people from diverse world cultures with varying backgrounds approach food and beverages differently. Prepare, taste, serve, and evaluate traditional regional dishes of the Americas. Emphasis will be placed on ingredients, flavor profiles, preparations, and techniques for cuisines representative of the United States, Mexico, South America, and the Caribbean. The course develops an expanded understanding and appreciation of why and how people from diverse world cultures with varying backgrounds approach food and beverages differently. Prepare, taste, serve, and evaluate traditional, regional dishes of Europe and the Mediterranean. Emphasis will be placed on ingredients, flavor profiles, preparations, and techniques representative of the cuisines from Spain, France, Italy, Morocco, Tunisia, Greece, and Egypt. The course develops an expanded understanding and appreciation of why and how people from diverse world cultures with varying backgrounds approach food and beverages differently. For students who have had little or no previous exposure to the language. This course is a foundation in spoken and written French, listening and reading comprehension, grammatical usage, and cultural backgrounds. Class will be conducted in French and students will spend weekly sessions in a language laboratory. This course advances critical reading, thinking, and writing abilities through the study of literature. While acquiring requisite vocabulary, skills, and background knowledge, students will learn how to read literary texts more perceptively and how texts generate meaning. Students will communicate this learning through critical essays exploring specific literary texts. Readings may include novels, essays, short fiction, poetry, and drama. Class sessions will introduce and enforce key elements of information literacy. This course will examine the intersection of leadership and ethics in business. Students will examine the skills needed for effective leadership, the ethical dilemmas of leadership, the foundation and context of moral choice, the moral implication of decision making, and the impact upon staff morale, personal integrity, and citizenship. The purpose of the course is to develop an understanding of the student's own leadership style and preferences, make visible the ethical challenges and decisions facing leaders, examine the leadership role in sharing the organization's ethical culture and explore several alternative methods of ethical decision making. An exploration of table service principles and skills with an emphasis on customer service in a public restaurant. The focus will be placed on wine, beer, coffee, tea, and non-alcoholic beverage service. Topics include guest relations, professional communications, order taking in an à la carte environment, service sequence, point-of-sale systems, cash handling, beginning merchandising, table skills, and dining room preparation. This restaurant experience concentrates on previously learned cooking fundamentals and techniques and applies them to the cuisine of a terroir, utilizing à la carte menu preparation in a contemporary restaurant setting. Students will further develop their ability to organize an assigned station based on preparation methods while focusing on the production of menu items, plate presentations, and cooking techniques as applied to specific cuisines. Emphasis will be placed on sourcing, storage, uses, and nutritional aspects of key ingredients. Learn to prepare modern and seasonal dishes in a restaurant setting and put previously learned skills into practice. This course will emphasize cooking techniques and ingredients used in contemporary and classical cuisines and cover planning and ordering, station organization, preparation and plating, timing, palate development, and other production realities of a restaurant. This upper-level course incorporates theoretical and practical information on the organization and creation of a beverage program within the overall operation of a hospitality business. Planning topics will include concept, identification of target market, and creation of a beverage inventory. Management topics will include bar layout and operations, trend identification and product selection, costing and pricing, purchasing and inventory methods, and human resources management. Emphasis will be placed on cost-control measure for beverages, inventory, and sanitation laws and practices. In addition, responsible beverage service will be stressed in the form of a required TIPS certification. This course provides an introduction to accounting theory and concepts that will lay the foundation for the preparation of financial statements. Students will learn how to record, process, and summarize financial transactions. Emphasis is placed on the preparation of the income statement, balance sheet, statement of owner's equity, and statement of cash flows for a sole proprietorship, partnership, and corporation. This course includes an interactive component using accounting software to reinforce the concepts discussed. An exploration of the major historical and philosophical developments that have shaped the European and western experience. Topics will include the European Union, Christianity, systems of government, Enlightenment, Revolution, and Nationalism. An analysis of the legal, operational, and psychological considerations in recruiting, selecting, hiring, training, compensating, developing, disciplining, evaluating, and terminating employees. Other topics will include workforce demographics, employee illiteracy, substance abuse in the workplace, affirmative action, workers with disabling conditions, workforce stress, human resource planning, collective bargaining, and safety and equity considerations. Students will also analyse cases, solve actual or simulated personnel problems, and investigate successful practices in these areas. An introduction to various schools of thought that explain why people behave the way they do. Topics covered in the course include personality, motivation, memory, learning, perception, nature, nurture, and adaptation. Students without relevant diplomas, or a minimum "C" grade in relevant courses for credit transfer will be required to take additional top-up modules in order to complete the required 132-credit programme. An examination of the principles of pricing, placing, product development and enhancement, market planning, target marketing, and purchasing. Topics will include forecasting, market research, competitive analysis, market segmentation, and promotional mix as they affect marketing food, restaurants, and services. The challenges and opportunities of advertising, public relations, sales promotion, and personal selling will also be covered. Students will develop a specific marketing plan as well as analyze current merchandising plans for food products and services. An examination of the major historical and geographical developments in Asia and ways in which these developments have affected the creation of various cultural patterns. Topics will include the plurality of cultures of Asia, and global interdependency and reactions to it. The focus of this course is to promote student success as learners and citizens of the world. Throughout this course, students will recognize the qualities of, and develop as, informed, responsible, and empowered learners. Course objectives will cover topics related to personal, intellectual, and social development. The academic and life skill sets emphasized throughout this course are transferable to the workplace. A supervised work experience designed to expand career knowledge while increasing speed, timing, organization, and ability to handle cooking in an approved commercial foodservice and hospitality establishment. Students on externship will receive feedback from their supervisor and keep an externship manual to record and reflect on their work experience. *Students who have externship exemption (transfer credit) must complete a 15 week Professional Bridge.